A team of dedicated and passionate professionals are behind our mission to reduce food waste in the hospitality sector. Since 2013, we have been working with chefs to monitor and reduce food waste in commercial kitchens. We are now present in more than 25 countries spanning across Europe, the Middle East and Asia Pacific. Throughout our journey, we have inspired thousands of chefs to work together to reduce food waste. As a result, we’ve learned many valuable lessons to help you optimize your kitchen’s workflow, saving you both time and resources. In the fourth edition, we interviewed Constance Lambert, Business Development Manager at Winnow’s APAC office. With a passion for travelling and a vast knowledge of the hotel industry, Constance has been changing people’s mentality and helping hotel kitchens in the APAC region become more sustainable and profitable. Tell us about your background. How and where did your hospitality career begin? Hospitality wasn’t my first choice after finishing school. At university, I joined a business bachelorette course, and end up specializing in finance. Although I liked finance, I soon realized that I couldn't spend the rest of my life working inside an office, and depending on my computer for everything. I wanted to do something that was more dynamic, and would also allow me to have more interaction with people. At that time, I wasn't sure of what this could be, but an internship at a hotel seemed like the perfect fit. I then started an internship at the renowned Hotel de Crillon in Paris. I remained there for 10 months, shifting from one department to another. The internship gave me the chance to experience many different areas of the hotel, and I learned a lot about the industry. I enjoyed it so much that I decided to go back to university to study hotel management. From there on I remained working in hospitality. I now have 7 years of experience and I am still enjoying it. Why were you drawn to the hotel industry? What was it that attracted you? It was a mix of factors. I was mostly attracted to the hotel industry because the majority of the roles within the sector include constant interaction with both clients and colleagues, but also because of my love for travelling. Working in hotel hospitality usually gives you the opportunity to travel and live in different countries. The cultural exchange is something that I appreciate a lot. Wherever you go, the hotel industry is always a very international environment. You are originally from France but have lived and worked in Asia for 5 years. How did you first move to Asia? In order to graduate from the Hotel Management Masters I was doing in France, I had to complete an internship in a hotel. I chose to go to Asia. For 6 months I worked as a F&B Training Manager for Sofitel Philippine Plaza Manila Hotel, which has one of the biggest and most famous buffets in the region. I had a great time in the Philippines and I fell in love with the fact that the locals were so friendly to everyone. I had to come back to France to finish my course, but I kept in touch with all the people I had met during my time in the Philippines. This definitely helped me find a job in the region after I had completed my MA. I found a job in Guest Experience at the Sofitel head office in Singapore. What was the biggest challenge you faced when you first joined Winnow in Singapore? How did you overcome it? Before joining Winnow I had only worked in large organizations, so my initial challenge was the responsibility of building a company’s reputation, instead of maintaining it. I already believed in the system and in the mission of solving the issue of food waste in the hospitality industry. Because of that, I felt an even greater pressure in proving to some resilient clients that our system can help them cut food waste in half while saving money, and helping the environment. The fact that I had already worked in the region for 5 years, and had a vast knowledge of the hotel industry really helped me overcome this challenge. I love the fact that my work has a real impact on the environment. It makes me feel extremely proud about it. It might be a small contribution in comparison to the huge scale of food waste, but I am doing something to minimize the issue, and I hope to keep on contributing even more as we grow not only in Asia but in other parts of the world as well. I received the most interesting feedback a few months ago when I called a hotel in Myanmar to introduce the Winnow system, and they already knew about it. The best part was when they told me that they had learned about Winnow through Executive Chef Brice Caro from Novotel Yangon Max. Chef Brice spontaneously invited a group of AccorHotel’s chefs from the region to talk about Winnow and how we have helped them monitor and reduce food waste. It was a pleasant surprise. 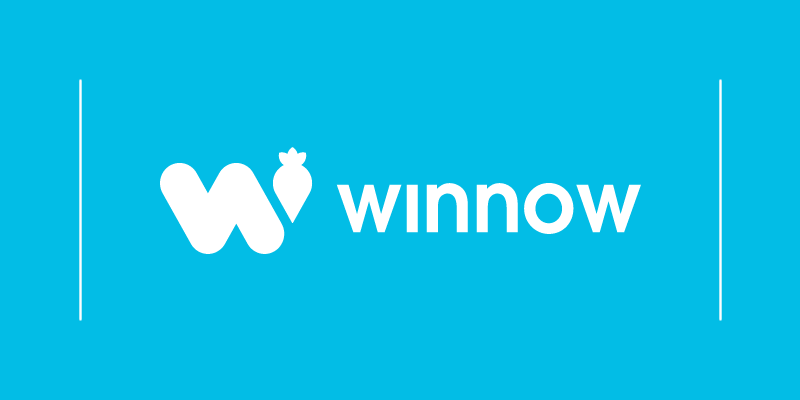 Introducing Winnow to the Indonesian market is a big project for me. I believe we will make a huge difference in all our current or future client restaurants. It is estimated that Indonesia is one of the world’s largest wasters, throwing away an average of 300 Kg of food per individual each year. How do you see the Asian hotel industry changing in five years? I believe the competition from other types of accommodation such as airbnb is getting higher than ever, and it will increase even more in the next 5 years. In order to win (not sure “win” is the right word, “beat” might be better) the competition hotels will need to step up their game investing more in staff training to deliver an excellent customer service. I also see sustainability as a selling point, especially to western guests. In general they are more willing to invest in brands who take measure against sustainability problems, such as water and energy use or food waste management. F&B managers and especially chefs should start trusting technology in helping them manage food waste. Technology tools, such as the Winnow system, on the contrary of to taking their time it gives them extra time. Overproduction, for example, is one of the main factors for food waste occurring in the sector. So when chefs make adjustments to their production line they actually gain extra time to focus on being creative and cooking delicious food.